The versatile Amana 5.0 Cu. Ft. 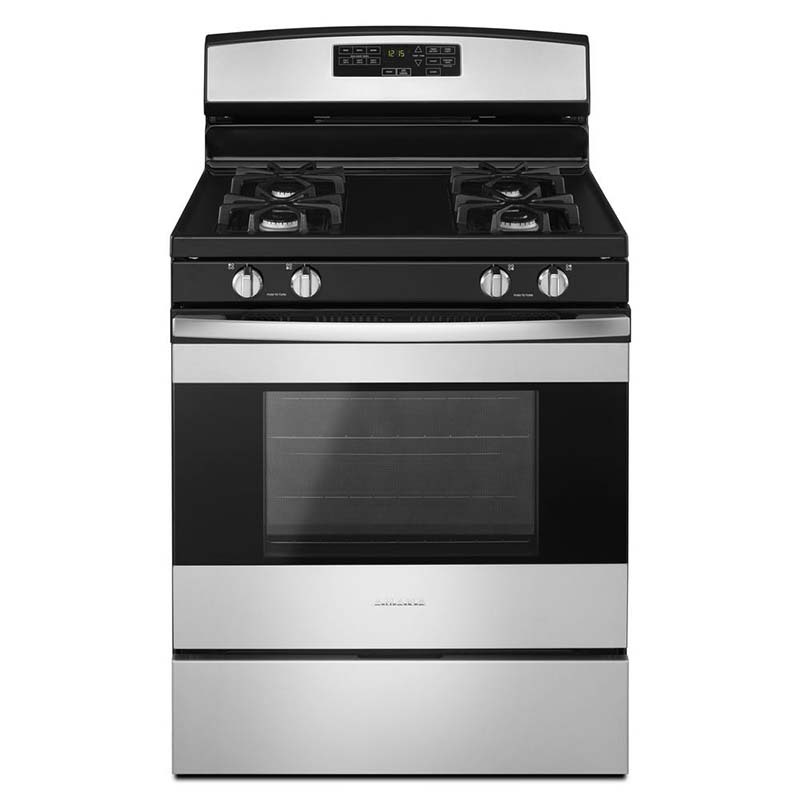 Stainless Gas Range is a handsome addition to any modern kitchen. With 2 oven racks, Bake Assist temperature settings and 4 gas burners at your disposal, you can whip up multiple dishes at once to wow your dinner guests. An added perk: The oven cleans itself!